Have you ever wondered what makes a great cup of coffee? Well, Dermot Connaughton from CQ TAFE shows us just how to do it. 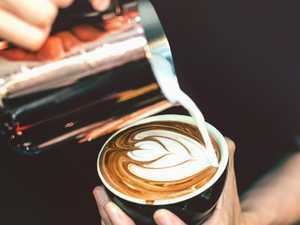 Food & Entertainment THE secrets to the perfect cup of coffee have been uncovered by researchers at Southern Cross University. How do you make the perfect cup of coffee? Ask Dermot. News Passionate Rockhampton barista and hospitality teacher Dermot Connaughton will judge The Morning Bulletin's first Barista of the Year competition.